It naturally follows that the toxins and heavy-duty materials used to embalm, preserve and contain bodies has a detrimental effect on the environment. While cremation was thought to be an ecologically sound alternative, the procedure actually causes high levels of carbon dioxide to be released into the atmosphere. In light of the somber findings of the UN Intergovernmental Panel on Climate Change’s (IPCC) report on climate change, it is clear that drastic steps are needed to prevent the environmental collapse. 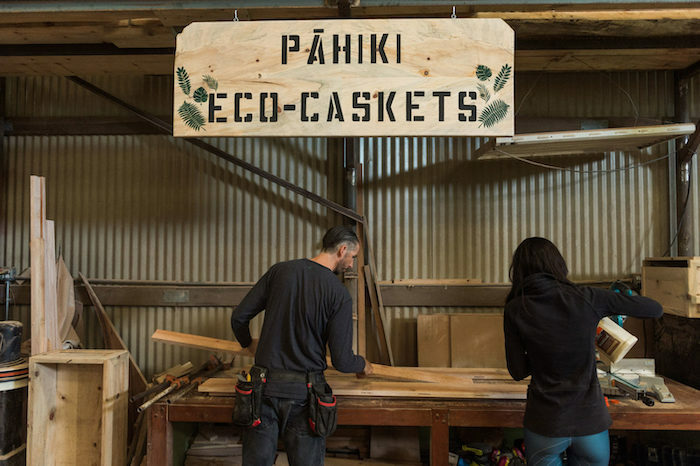 It is not only what we do during our lifetime that can affect change: innovative eco-burials are proving that we can reduce our carbon footprint even in death. Funeral rituals vary greatly across the globe, from the New Orleans’ Jazz Funeral, which blends West African, French, and African-American traditions, to the Turning of the Bones in Madagascar, where relatives commemorate the diseased by dancing with their bodies. My personal favorite is the sky burial, a tradition that is prevalent in Tibet, amongst other cultures, and which involves depositing bodies at high elevations so that they may be consumed by vultures. Having attended only a handful of funerals in my lifetime—all of which were in Western cultures and did not include an open casket—the notion of seeing a dead body is completely foreign to me, not to mention the inevitable scavenging that follows a sky burial. However gruesome the ritual may appear to the outsider, it stems from real environmental and spiritual practicalities. Indeed, in many parts of Tibet and Qinghai, a lack of timber and fuel made cremation impossible, just as the sturdy and rocky grounds prevented earth burials. Furthermore, the ritual is considered to be an act of charity on the part of the deceased, who makes a final offering to other sentient beings. The notions of compassion and impermanence are essential to Vajrayana Buddhism, and sky burials are a reflection of these virtues. In fact, charnel grounds are also cited in the Early Buddhist canon; in the Satipatthana Sutta, the Buddha encourages his followers to reflect on impermanence by observing dead bodies undergo various stages of decomposition. 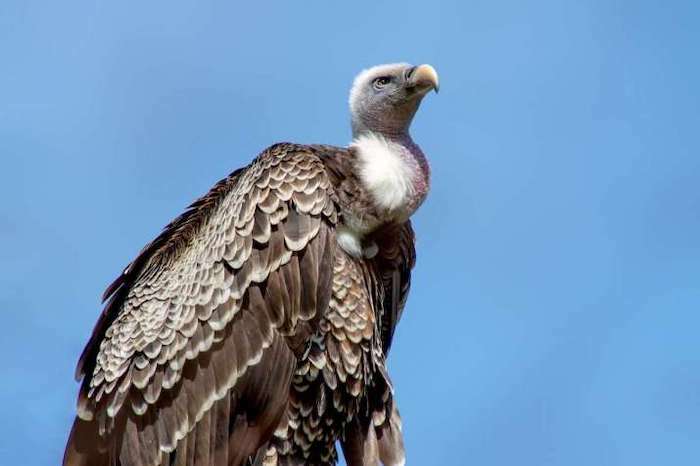 Unfortunately, with the number of vultures diminishing every year, sky burials are becoming somewhat of a rarity. With overpopulation rising, funeral practices around the world are facing similar difficulties. In Korea, for example, the lack of burial space has forced many families to dig up the remains of their ancestors and have them cremated. Add to this the imminent threat of climate change, and it is no wonder that funeral practices around the world have to adapt. Vulture on the Tibetan plateau. Fortunately, a number of people and organizations are coming up with innovative solutions to this problem. There are now several companies in Korea who specialize in transforming people’s cremated remains into colorful beads (this provides an alternative to the urn, which can appear eerie to some). Others have opted to have their remains turned into reef balls that are then placed in the ocean, creating a natural habitat for marine life. 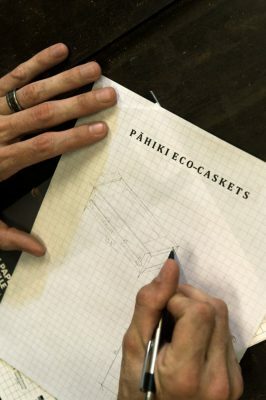 For those who want to bypass cremation because of its negative effects on the atmosphere, there are now a number of green alternatives that promote the natural decomposition of bodies: allowing remains to seep directly into the earth and provide sustenance for the surrounding flora and fauna. 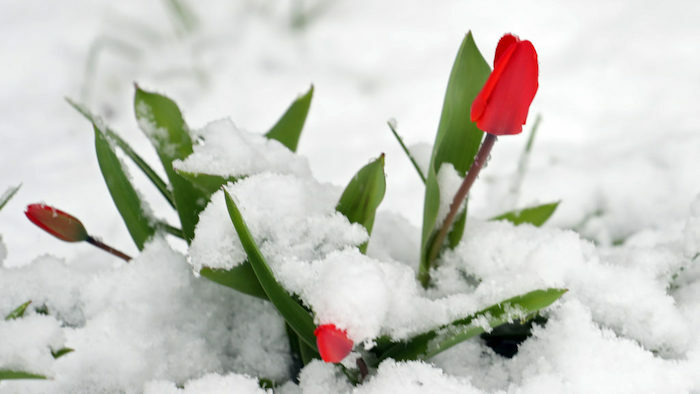 In order to be environmentally friendly, biodegradable materials are used to make cloths, shrouds and caskets; and artificial markers such as tombstones are replaced by naturally occurring flora, or a GPS system. 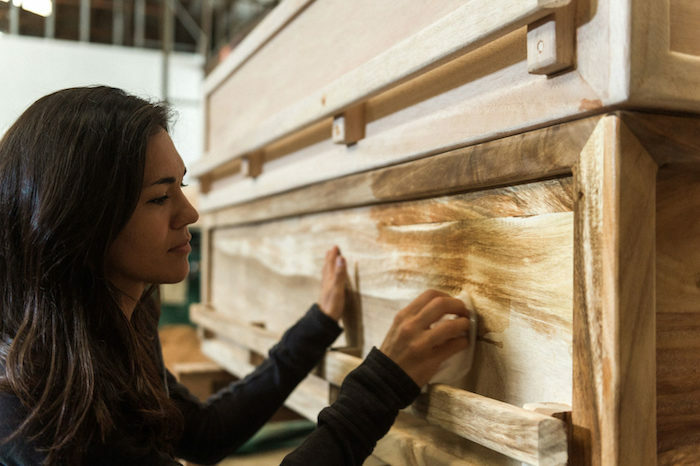 According to the non-profit organization The Green Burial Council, going green also has its financial benefits, since eco-burials can significantly lower the cost of posthumous arrangements. 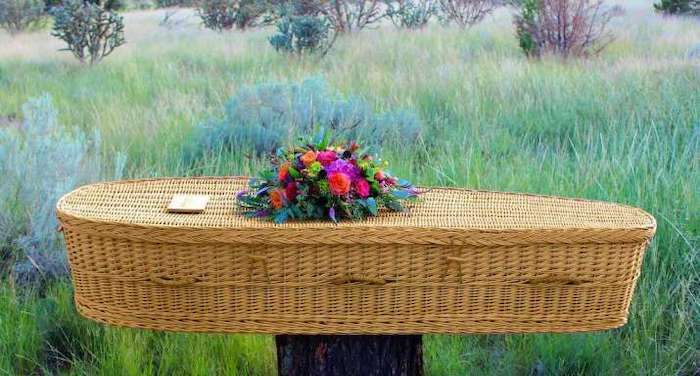 For example, prices for a complete natural burial at Honey Creek Woodlands (Georgia) start at US$3,400 —approximately half the cost of a typical modern funeral. 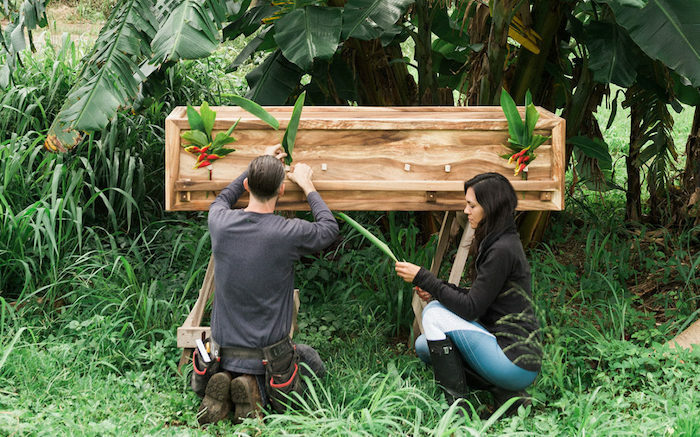 In this way, natural burials not only help to protect our planet; they also provide us with an opportunity to rethink death and to incorporate lessons of compassion, interconnectedness, and impermanence into our rituals. It is common wisdom that nobody ever wished he’d spent more time at the office when he’s at death’s door. That certainly makes sense, but Michael Ent, a social psychologist at Towson University, did what researchers do when confronted with unproven beliefs. He wondered if it was true. Then he tried to find out. He and Mary Gergis, a nurse who also teaches at Towson, asked hospice nurses what dying people really talk about at the end of their lives. 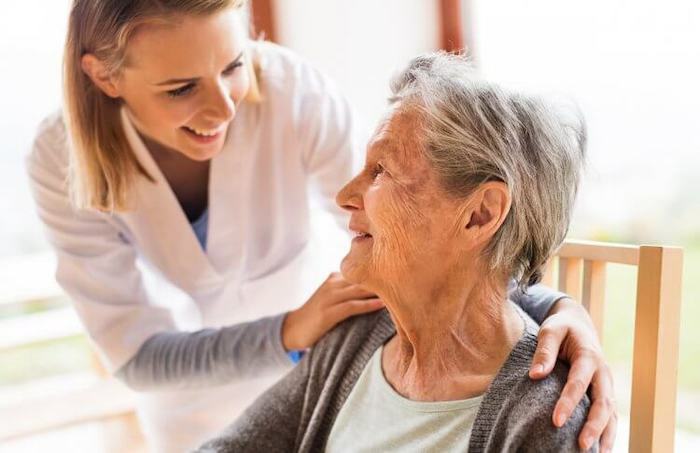 The 124 nurses from the Hospice and Palliative Nurses Association who responded to an online survey said patients are often more consumed with worries about how their families will fare after their deaths than they are with their own fates. They are about as likely to savor lives well led as to grapple with regrets. Many are worried about legacy and finances, a sign, Ent thinks, that some of them do indeed wish they’d worked more, or at least done a better job of managing their money. Ent said the information, which has been accepted for publication in the journal Death Studies, could be helpful to caregivers. Some may be reluctant to push patients to engage in “life review” — end-of-life discussions of life history that have been shown to help alleviate anxiety and depression. “Sometimes patients might feel that it’s intrusive for a stranger to start asking them about their personal lives,” Ent said. However, if patients bring up some of the topics the nurses mentioned, that could be an opening for a deeper conversation. Again, Ent was skeptical. “I couldn’t imagine that being a top deathbed reflection,” he said. For the survey, Ent and Gergis asked the nurses to list up to five “reflections” they heard most frequently from hospice patients. He concedes it would have been better to talk to patients themselves, but said privacy rules make them harder to reach. The nurses’ answers covered a wide range, from regrets to pride to faith in an afterlife. “I don’t want to be a burden” was a common sentiment, and many patients worried about how survivors would cope after they died. Some wished they had taken better care of themselves. Some said they were ready to go, while others wished for more time. They were thinking about whether their lives had mattered. Ent categorized the comments and found that concern about loved ones was the most common response. Half of the nurses mentioned it. Regrets — these included people who thought they’d worked too much — came up 42 percent of the time, compared with 36 percent for gratitude. Concerns about legacy were cited by 29 percent of the nurses. Some of those people wished they had achieved more. About the same number of nurses said patients often said they were not ready to die (29 percent) as said they were ready (28 percent). 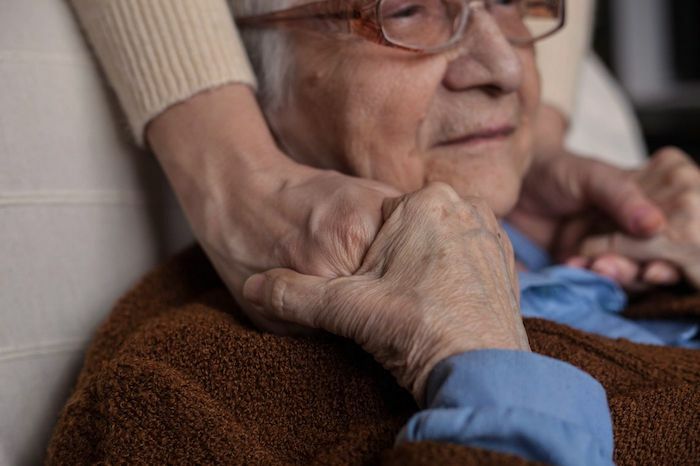 Ent said that the survey results show that hospice workers may want to spend more time allaying patients’ fears about how their deaths will affect family members. He also thinks that research on what dying patients regret could help healthy people plan for the inevitable. Maybe fewer of us would be “blindsided” by our deaths if we talked more openly about mortality. Better financial planning could prevent many of the worries about unpaid bills. Death with dignity is a movement gaining steam. A June 2017 Gallup poll found that 73 percent of Americans supported medical aid in dying at a patient’s request, as long as it is painless. Oregon is just one of six states plus the District of Columbia with laws in place that allow medical aid in dying. 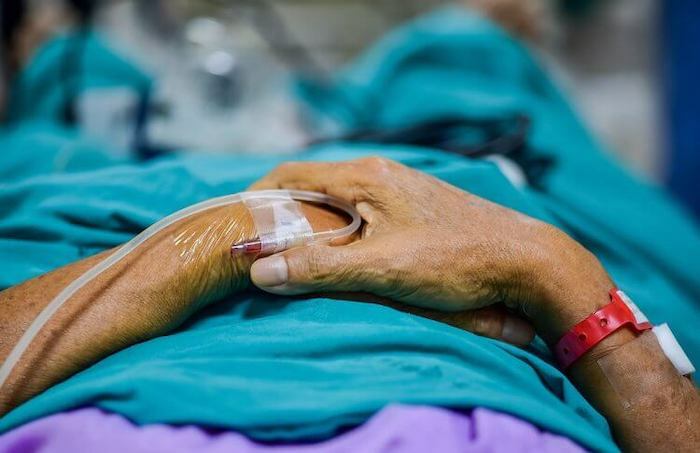 Doctor-assisted suicide will also become legal in Hawaii in January 2019. In 2018, 23 states entertained death with dignity legislation, and Maine is voting on a ballot initiative in 2019. While the names of the bills vary — Death with Dignity, Medical Aid in Dying, Medically Assisted Dying — the bills are remarkably similar. For death with dignity, participation by doctors or nurses is strictly voluntary. No doctor can be compelled to prescribe life-ending medicines, there are no government programs which will provide assistance and there is no database of participating doctors. To qualify for a prescription for life-ending medications, patients must prove they are a legal resident of the state in which it is legal, be 18 or older, be mentally competent and diagnosed with a terminal illness that will likely lead to death within six months. Patients must also be able to self administer the medication. At least two physicians must determine all criteria are met, and several states with pending legislation require witnesses who are unrelated to the patient who have no financial interest in the patient’s estate. Physicians must also inform patients of alternatives, such as hospice, palliative care and pain management techniques. Physicians may make a referral for psychological or psychiatric evaluation. The laws and bills also require the patient to make at least two oral requests with a waiting period of at least 15 days (20 in Hawaii) between requests, followed by a written request. 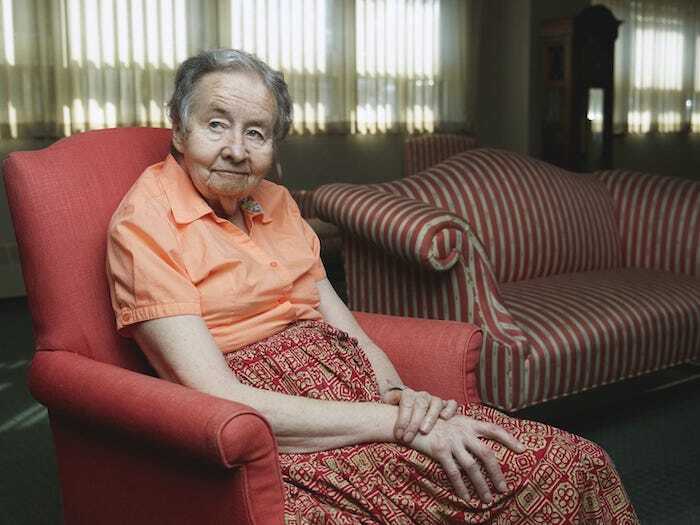 Dr. Jamie Wells, a medical ethicist and a director of medicine for the American Council on Science and Health, said the debate over medically-assisted dying laws is difficult in part because we live in a binary culture which tries to reduce everything to black and white. But the individual situations where a law like this would come into play, she noted, are often gray. Australian scientist David Goodall made headlines in May when he traveled to Switzerland to end his life at age 104. He had at least one failed attempt to end his life at his home before traveling to Switzerland. End-of-life care is an area of medicine where a patient’s family often has an influence on care. But since death with dignity legislation requires non-family witnesses, patients aren’t pressured into ending their lives prematurely. The opposite scenario happens as well — one where family members resist the patient’s desire to die. Kristin Metzger of Maryland, another hospice nurse, has taken care of patients who had family members waiting on an inheritance and patients who receive the gamut of care because a family is depending on a Social Security check. Metzger stressed that terminal patients, regardless of whether they are in a state where medical aid in dying is legal or not, should not have to worry about suffering or pain. While Metzger, Keeler and Wells hold different opinions on death with dignity legislation, all three agreed it is important for families to discuss their opinions and wishes openly long before a crisis occurs. “In a perfect world: Everyone has the right discussion at the right time when they can make the right decisions, but unfortunately people are messy and complicated.” Wells said.